Kristie Woodworth Photography - Great event and candid photographer. She does it all. Check out her site and online gallery. 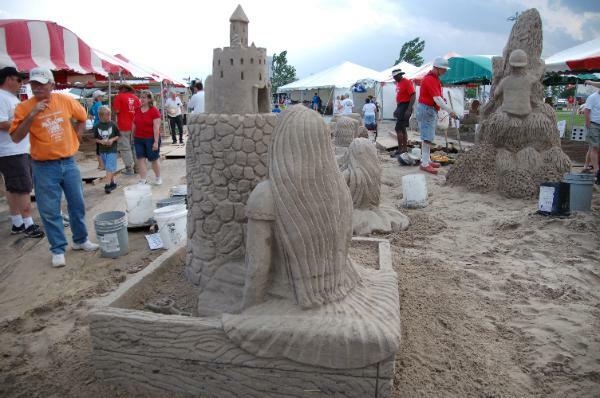 Texas SandFest - A great website featuring many top sand sculpting champions. Lamar Elementary, San Angelo, TX - VIDEO - 1 day carve for a elementary. Awesome kids and super staff! Gulf Shores AL - PICS - Hang Out Festival. Pic #30. Warriors Weekend, Port O'Conner, TX - VIDEO - Very touching video of the event. TexasSandFest 2010 - PICS - Pictures of the event. Texas SandFest 2010 - VIDEO - Very nicely done video of the event.